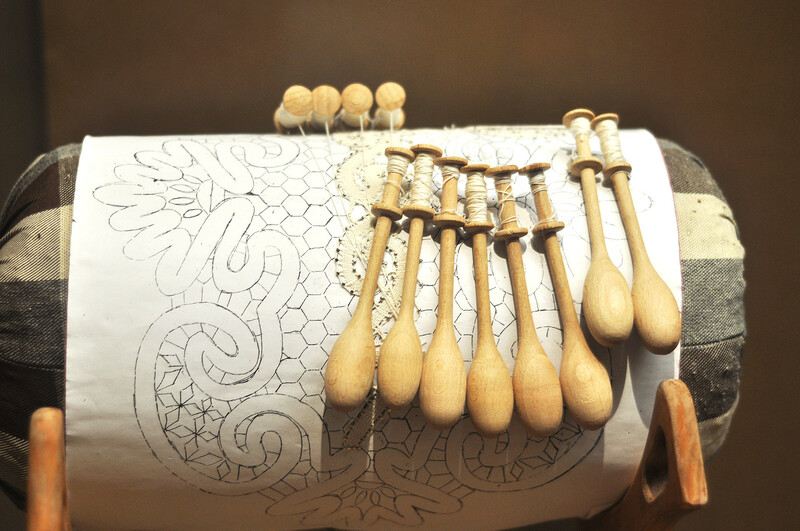 Vologda lace is entirely handmade with wooden bobbins. 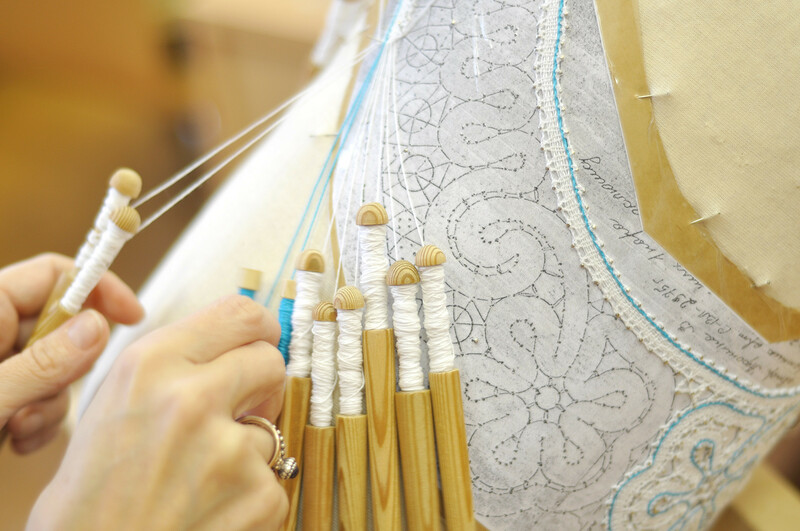 The traditional lace handicraft of the Russian North has survived many upheavals. 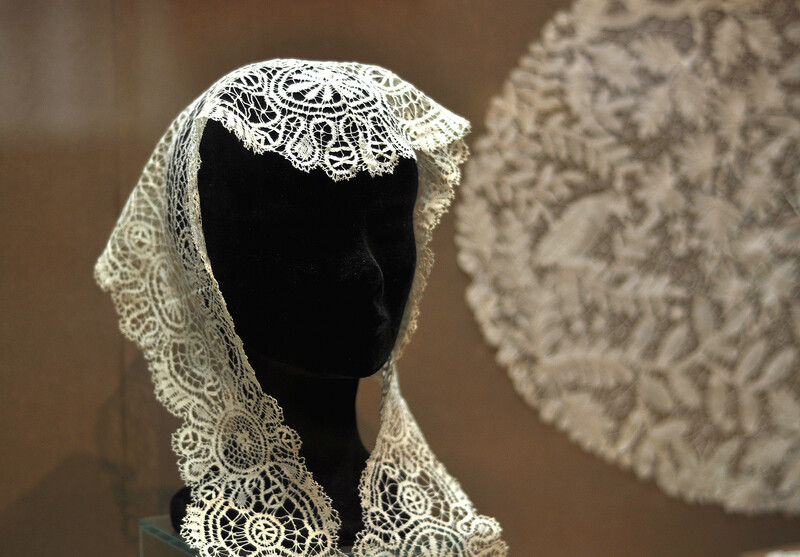 From ornamentation on 19th century festive clothing to portraits of Soviet leaders, the famous Vologda lace is widely used by Russian designers. Even young ladies today want to learn how to make it! Russian designers are returning to their roots. Anastasia Romantsova, Vyacheslav Zaitsev and Ulyana Sergeenko create haute couture “a la Rus” by placing traditional ornamental patterns, handmade embroidery, and folkloric silhouettes in a modern context. Since Beyoncé appeared in her “Jealous” video wearing Sergeenko’s lace cape, the fashion world has taken note of Vologda lace. The ancient handiwork is not only returning to fashionistas' wardrobes, but it’s also a popular hobby in its homeland - the Vologda Region, 300 miles north of Moscow. The word “lace” (kruzhevo) means “to encircle” (okruzhat), to decorate the edge of a dress and other items. It has been a handicraft in Russia for over 300 years, made in different regions – Kostroma, Nizhny Novgorod, and Yelets. But Vologda lace has became a sort of calling card of Russia, and one of its most recognizable symbols. A lacy shawl, Museum of Lace. First, look at the pattern: It should be equal in width, usually with floral ornament and textured elements connected by a delicate lattice. The continuous line that stretches through the pattern is called vilushechka, and it’s hard to produce. 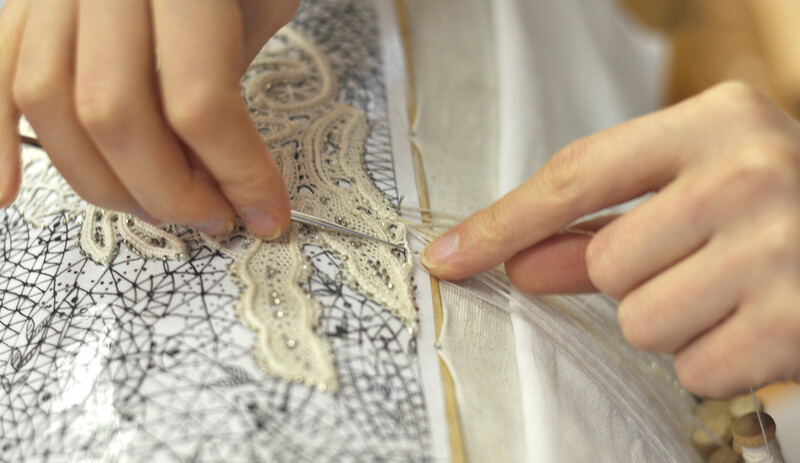 There are four elements that make up the lace: polotnyanka (“canvas”); pleteshok (“weave”); nasnovka (figures); and net. Not to mention the craftsman’s fantasy! 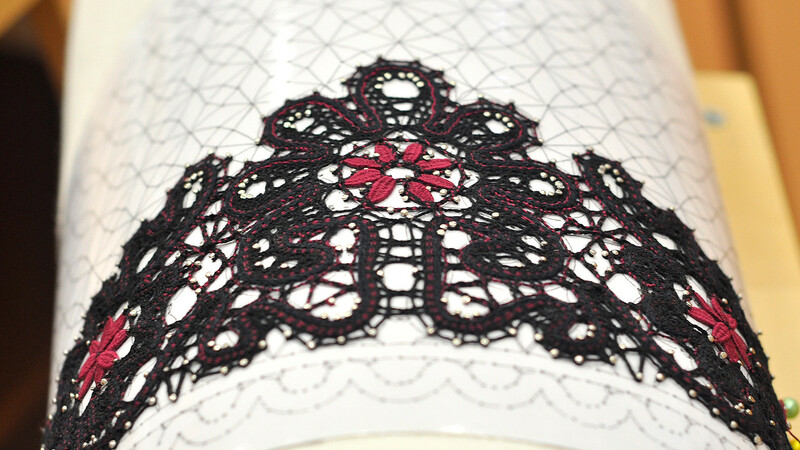 The modern Vologda lace can be any color. To design the pattern, a master needs an artistic education, and also should know the technology of weaving. Most colors are light: beige and white, but sometimes also black. If the future cloth is large, then the pattern can be separated between several craftsmen and then sown. Second, Vologda lace is entirely handmade with wooden bobbins from special linen or cotton threads. 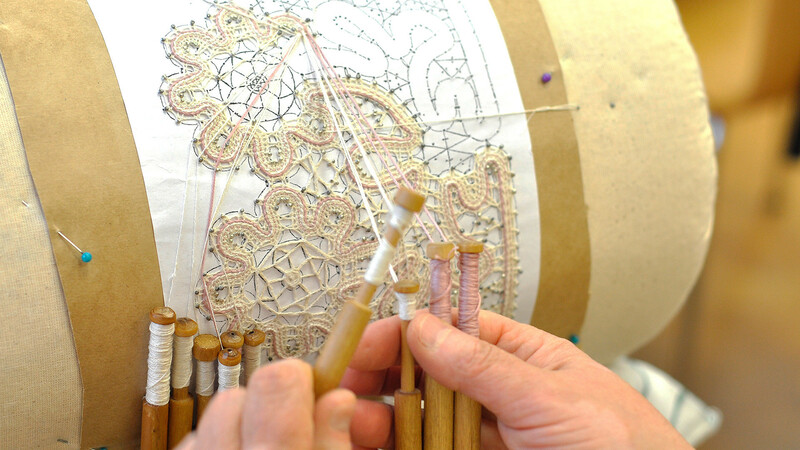 If the future lace will decorate linen or other coarse cloth, then the pattern will also be large. From thin threads, masters weave thin ornaments and decorate them with silk cloth, for example. Festive and everyday lace decorates tablecloths, napkins, cloaks, and wedding items. Traditionally, young women wore festive lacy shawls. 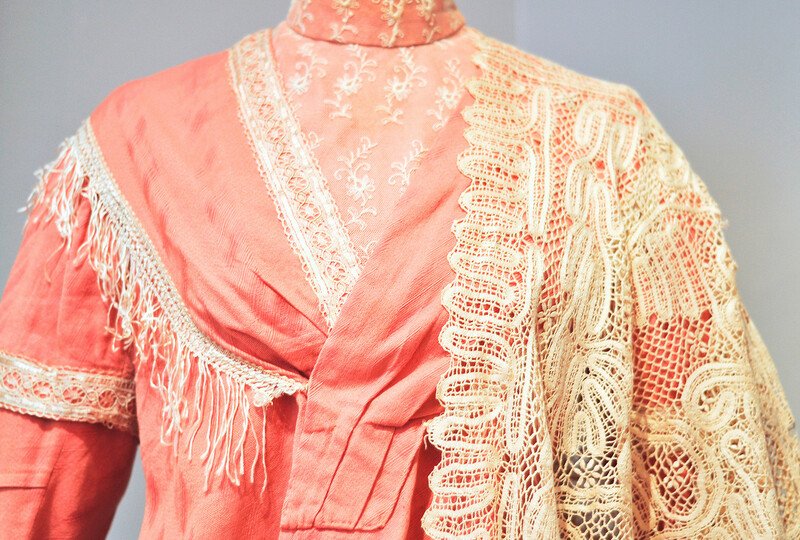 A vintage dress with lacy shawl, Museum of Lace. 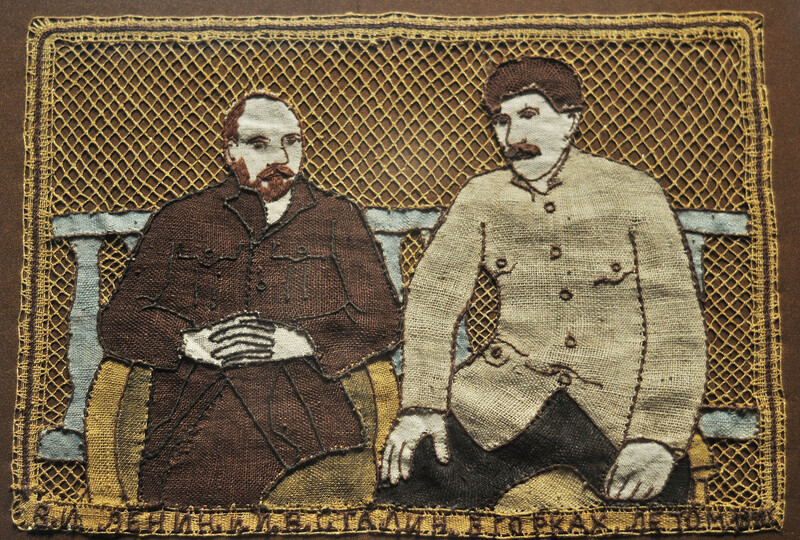 Since the 1930s, Soviet themes have been widely used in traditional crafts. Needlewomen depicted parachutes, Kremlin stars, the Lenin Mausoleum, and the achievements of the Soviet agro-industrial complex. Of course, traditional patterns were also in favor. Soviet motives, Museum of Lace. Interesting fact: after World War II, the Soviet Union repaid the U.S. with lace goods for the military supplies received under the Lend-Lease program. The price for lace has always been high, so a cape or a shawl decorated with lace was a special gift. The lacy Lenin Mausoleum, Museum of Lace. 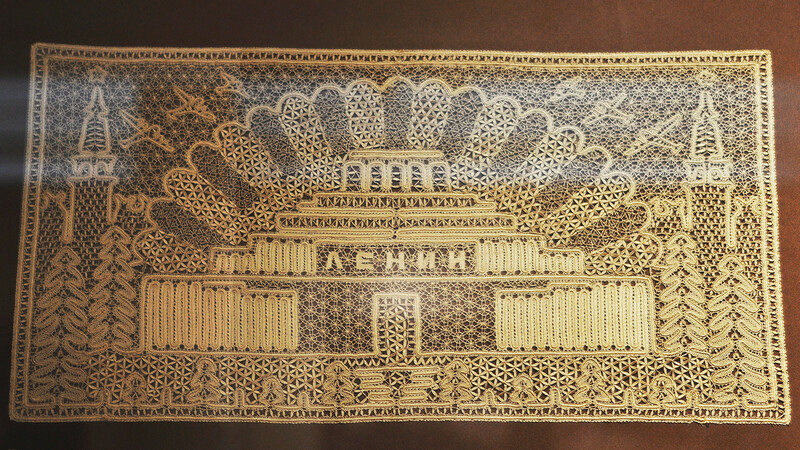 In the 1930s, thousands of masters weaved lace in the Snezhinka lace factory. Today, the plant has only about 20 craftswomen. 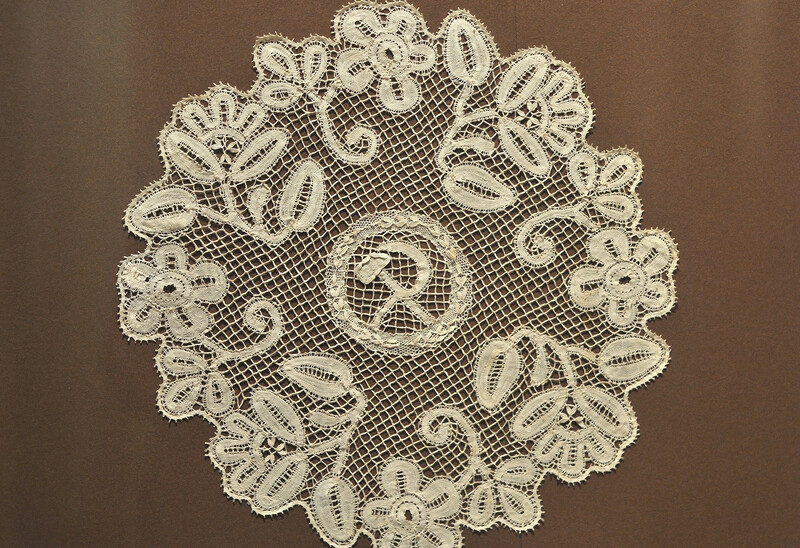 The lacy Soviet napkin, Museum of Lace. With the collapse of the Soviet Union, however, the production of Vologda lace declined, like many other industries. Only in the mid-2000s, did interest in this traditional handicraft return with the opening of the Museum of Lace in Vologda, which organizes lessons of lacework. Natalya is doing a white-and-blue neck piece. A woman who wants to weave must be patient and have perseverance, says Vereshchagina. "A woman comes to me, starts working and it’s immediately clear whether it's her job or not. She needs to sit here for two hours and do home tasks. Some get involved in it so much that they can’t live without it." Craftswomen choose the bobbins themselves. Modern or vintage, they mostly are produced in the Vologda Region, and they differ not only in thickness and shape, but they're made from different trees. What's most important: each pair of bobbins has its own sound. The birch produces one sound, while the ash tree has another. Vintage bobbins, Museum of Lace. Why is this ringing sound so important? Beginners weave slowly, and move bobbins quietly. When they have more experience, they weave very quickly and the bobbins ring rather loudly. Many people say the sound of bobbins soothes the soul. Marina is doing a lacy pattern decorated with beads. Every three years in Vologda the VitaLace festival is held, and several hundred craftswomen from all over the world weave lace on the main city square. In 2011, a record was set for the largest lacework ever - 570 masters worked at the same time on Kremlin Square. The event was recorded in the Russian record book. Vologda lace is good to weave during long winter evenings, Natalya said. "When I started, my daughter also wanted to learn, I sent her to the children's studio. Before I was not interested in this, but now, when I publish photos on social networks people write to me and comment that it's so beautiful. ‘We want to learn it, too,’ they say."